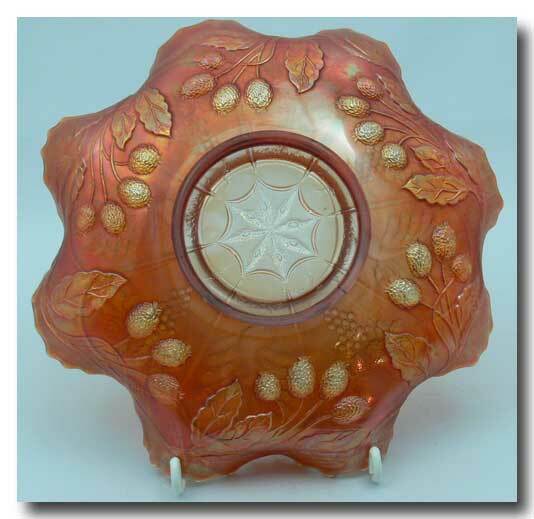 Collectivator :: MARIGOLD FENTON CARNIVAL GLASS BOWL. PEACOCK & GRAPE. 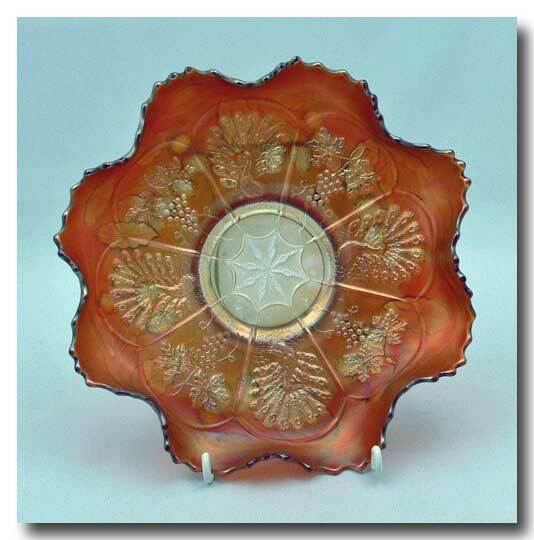 A Fenton marigold carnival glass bowl in the Peacock & Grape pattern # 1646. The bowl has a ruffled edge with alternating panels of peacocks with fully flaired tails and grape pattern. The pattern on the back is a gooseberry pattern. The bowl measures approx. 8" wide X 2 ½" high. It is in great condition with no chips or cracks.